Drew Brees and Peyton Manning are the NFL’s highest-paid quarterbacks, at an average of $20 million and $18 million a year, respectively. Brady has made it clear he wants to finish his career with the Patriots, whom he led to Super Bowl wins for the 2001, 2003 and 2004 seasons, and losses in the big game after the 2007 and 2011 seasons. By taking less money in the extension and redoing his current contract, he’s hopeful New England can surround him with the parts to win more titles. Among the Patriots’ free agents are top receiver Wes Welker and his backup, Julian Edelman; right tackle Sebastian Vollmer; cornerback Aqib Talib; and running back Danny Woodhead. 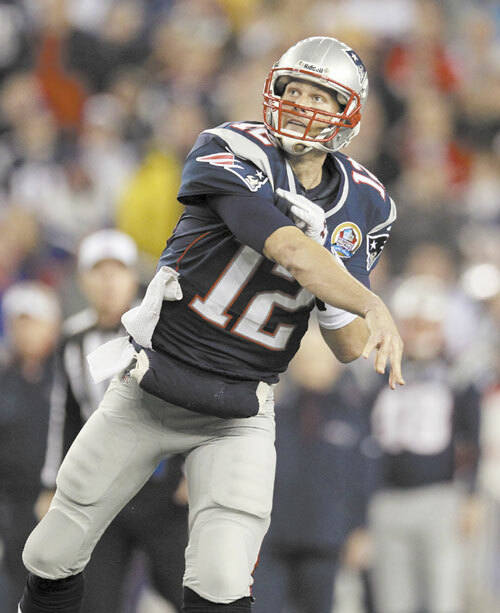 Brady has been the most successful quarterback of his era, of course, as well as one of the NFL’s best leaders. His skill at running the no-huddle offense is unsurpassed, and he’s easily adapted to the different offensive schemes New England has concentrated on through his 13 pro seasons. The Patriots have gone from run-oriented in Brady’s early days to a deep passing team with Randy Moss to an offense dominated by throws to tight ends, running backs and slot receivers.